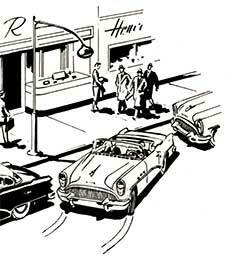 The content of this page reflects the 1954 Buick Power Steering brochure. If you’ve driven Buicks before, you know their outstanding reputation for easy steering. Now, a completely new steering linkage makes. Buick’s famed Permi-Firm Steering still easier and faster handling. 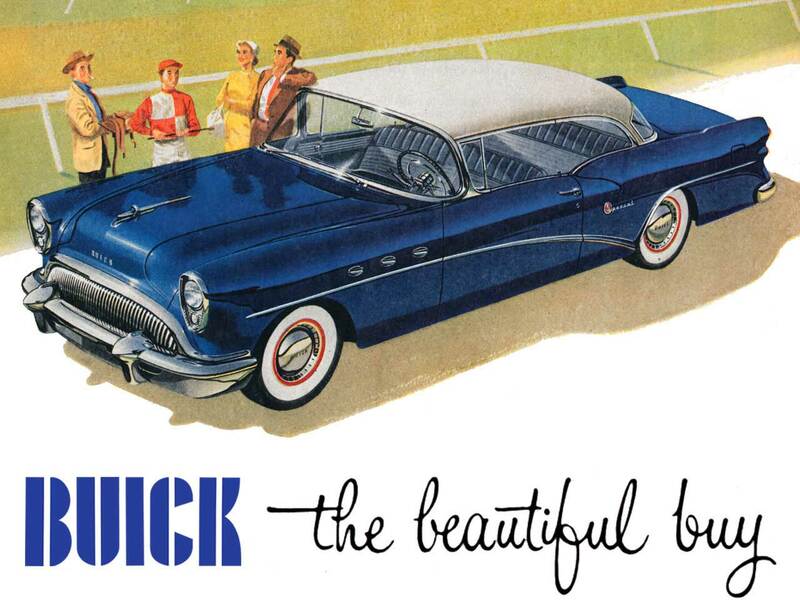 The benefits of this new development are evident in all 1954 Buicks – but especially in those models equipped with the auxiliary hydraulic might of 1954 Buick Power Steering. Here is driving ease that’s bliss to women and a blessing to all drivers particularly those who must avoid exertion. With Buick Safety Power Steering, you not only have up to 750 pounds of hydraulic pressure at your disposal for quick assists, you also have that firm, comforting “feel” of the road. There’s no sensation of driving “on ice” with this power system. You’re always in charge of the wheel, and can feel it. Slip into tight parking spaces. 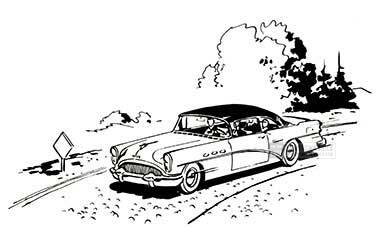 They’ve lost their challenge – even for the ladies, For 1954 Buick Power Steering nimbly maneuvers nearly two tons of steel- in and out of limited areas – at finger-tip pressures. Stride rough roads. Cobblestones, washboard surfaces, chuckholes no longer relay their tremors through the steering wheel. 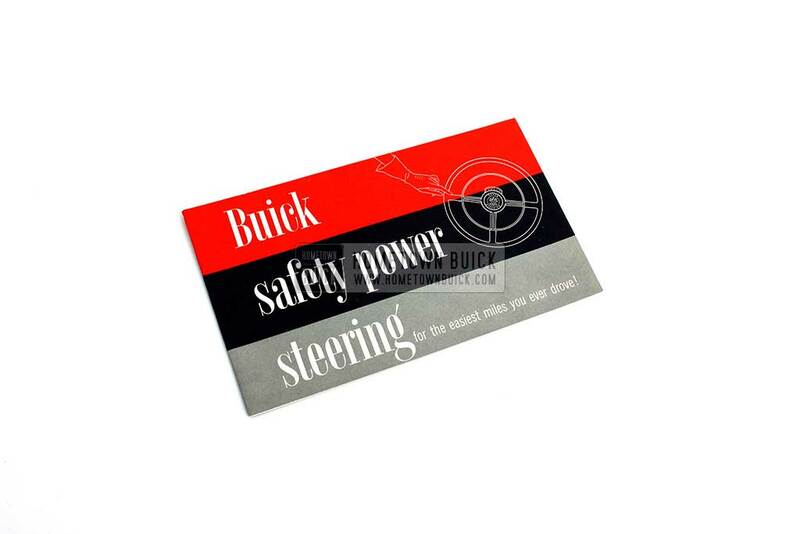 Buick Safety Power Steering absorbs the shock, the wheel stays quiet as a kitten under your hand. In case of a blowout. That’s when it’s mighty comforting to know you’ve got 750 pounds of hydraulic steering brawn to help you control your car until you can bring it to a stop. On soft shoulders. Buick Safety Power Steering does of your work – gently helps you bring your car back to the road. Sharp turning circles. Buick have traditionally been built to make complete turn-arounds in exceptionally small areas. 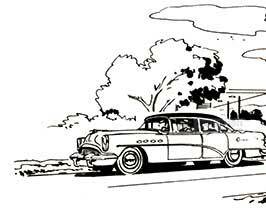 Buick’s longest models will turn in 43′ from curb to curb. Other models turn in only 41′. And, with the added ease of Safety Power Steering, these sharp swing-arounds can be made with as little exertion as rolling down a window. Nothing “new” to learn. With Buick Safety Power Steering you never have the feeling of lost control that other power steering units make it necessary to get used to. You still have a firm, secure “feel” of the road. But you also have, when you need it, swift and safe steering help of the most positive sort. Q: Will this unit need frequent adjustment and service? A: NO. You merely check the fluid level in the reservoir now and then, just as you check the Dynaflow unit. Both take the same fluid. Q: What happens if the power unit fails? A: In the rare event of a fan belt breaking and the pump failing to supply pressure -a built in by-pass valve allows you to steer the car in the conventional way, just as if the 1954 Buick Power Steering Booster had never been installed. Q: Will this power unit increase wear on the steering gear? A: NO. Just the opposite. By carrying the major part of the load, the hydraulic unit saves wear and friction on the mechanical steering unit. 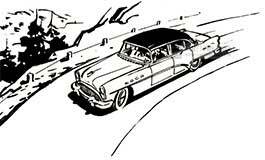 Q: How much of a boost does 1954 Buick Power Steering give me? Q: After making a turn must I turn the wheel back to straight ahead? A: NO. The wheel will return to straight ahead position itself as you release it. Q: Is Safety Power Steering available in all Buicks? A: YES. It’s standard on Skylark and Roadmaster, optional at very moderate cost on all other Dynaflow-equipped models. Your Buick Dealer will be glad to give you price information. 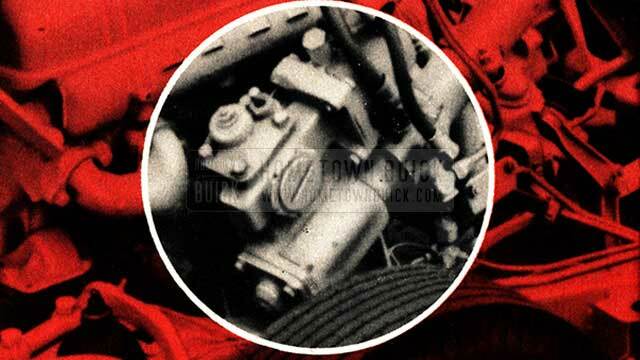 The 1954 Buick Power Steering unit you see above (circled) is an auxiliary mechanism mounted above the regular manual steering gear. In normal driving, where you exert four pounds or less pressure, steering is done manually with Buick’s new parallel steering linkage. 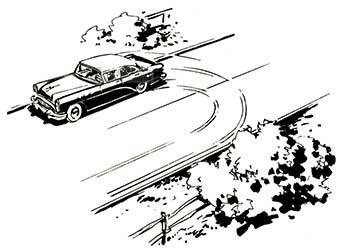 When you exert more pressure, to go around a sharp turn, park, etc., Buick Safety Power Steering goes into action. Buick Safety Power Steering gets its energy from a pump, driven by the engine, which supplies hydraulic pressure for an oil-driven piston in a power cylinder (the unit you see with two tubes attached) . The top tube on this power cylinder is for right turns, the bottom tube for left turns. As oil is pumped through the top or bottom tube, it flows into the power cylinder. Here the oil, under tremendous pressure, pushes the piston back, setting two steering gears in motion, making the wheels turn. It all adds up to this. You steer the car. 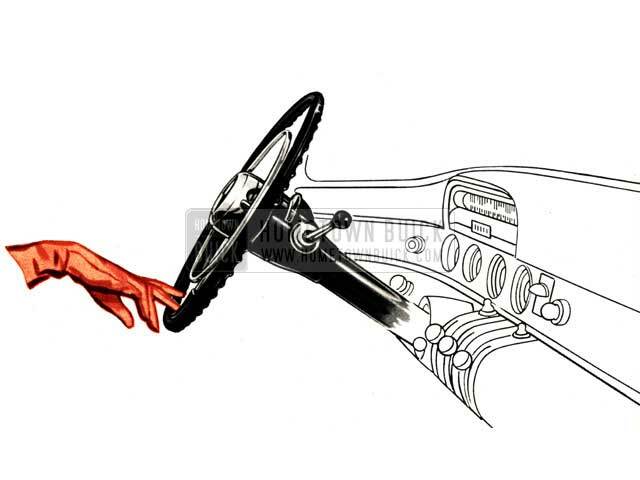 1954 Buick Power Steering lends a helping hand so you never have to pull hard on the wheel. You always have just the right amount of power assist.